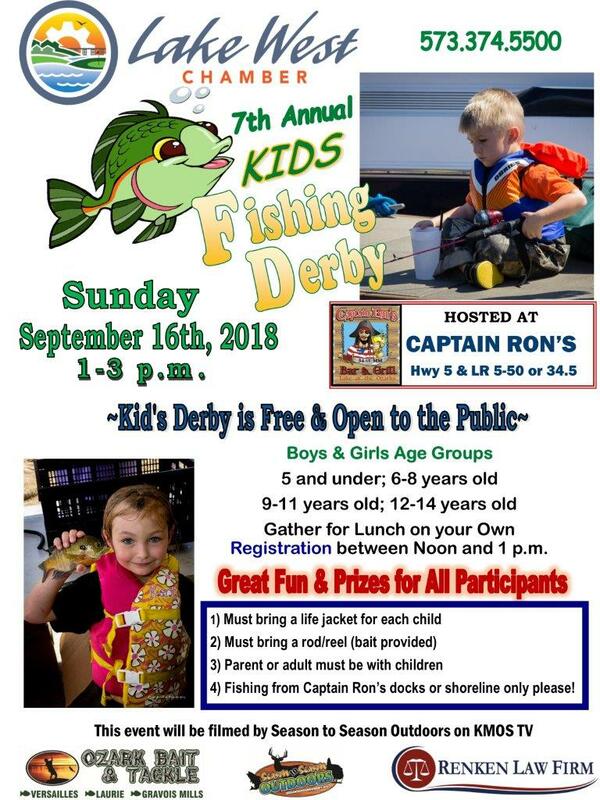 Kids' Fishing Derby at Captain Ron's! Sunday, September,16 is the 7th Annual Fishing Derby for kids ages 2-14. There are 4 fishing age groups, and bait is provided. Kids must wear a life jacket, be supervised, and bring their own fishing pole. Registration begins at noon, with the derby from 1-3. Fun and games for everyone! Sure to be a beautiful day!